Cuckoo is one of the best-lighthearted movies which released without any huge publicity but gathered audience love like a storm. The movie was directed by Raja Murugan with Dinesh and Malavika Nair in the lead. The movie is about love between a blind boy and a girl. This is one of the movie to watch out for. 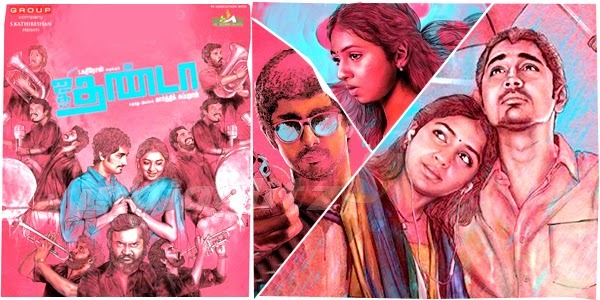 Jigarthanda is an action comedy movie directed by karthick Subraj and narrated in a different way. The story is based on a Don in Madurai and a happy go lucky director from Chennai. What happen when the director moves to Madurai to read about a real don’s character in order to make a real life gang story. Watch out for Boby Simha’s performance and excellent screenplay. Goli Soda is a movie about teenagers who strive to get meaning for their name. The movie is dorected by Vijay Milton. What happens when a baddie try to spoil their life and they resist to it and raise against it. Watch out the movie for the kids beautiful performance. Velai Illa Pattathari directed by Rathanavel is one of the biggest hit of 2014. Racy screenplay, sentiments, love, comedy, and action are mixed in an appropriate proportion. The mass of Danush adds more value to the film. Watch out the movie for Dnaush’s action and Anirudh’s great songs. The movie was in the production stages for very long time. It was directed by Vinod and released without any publicity. Day by day passed, every theatre witnessed huge crowd and theater numbers were increased. The plot is, a common who want to make money, swindles greedy people. But due to bad company, he becomes a prey to ruthless money making group and rest is an excellent magic director and actor Nataraj.